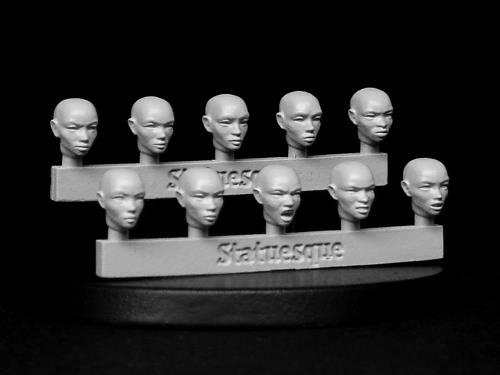 Sculpt your own hairdo, add a helmet or just leave them bald - the Fine Scale Female Heads - Bald set is designed to allow you to convert your fine scale miniatures. These heads are designed to match those of the Statuesque Sci-fi range of figures - and many other figures as well! 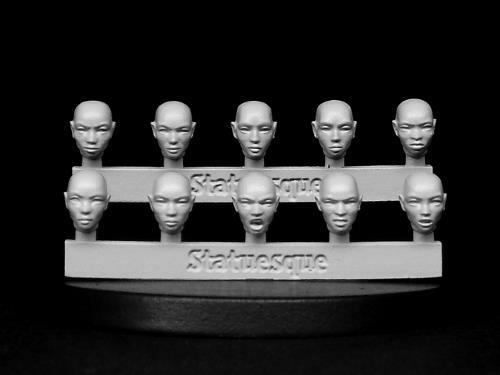 The SMA105 Fine Scale Female Head - Bald set is priced at £4.60. Purchase 2 or 3 SMA105 sets for £4.35 per set.